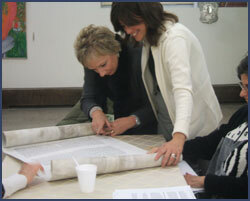 The Jewish Women’s Circle is comprised of women from diverse backgrounds and affiliations who join together under the Chabad umbrella, to have a good time, explore Jewish themes and to work together to create and enhance community projects. 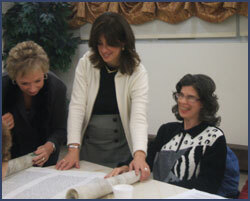 The Jewish Women’s Circle provides an opportunity to bring together women with divergent points of view, backgrounds and affiliations in an atmosphere of friendship and warmth. 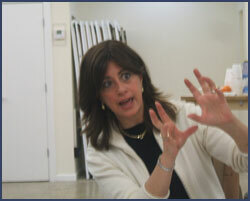 Our instructor Chaya Franklin is a dynamic and passionate transmitter of the most profound Torah thoughts. 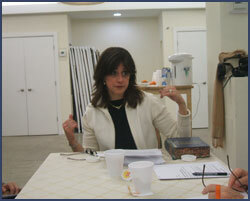 The class will focus on an examination of the Torah, intertwined with Jewish history. The Women's Circle meets on the second Wednesday of every month.